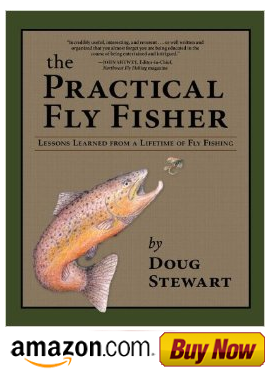 The Purple Peril was developed in the early 40’s by George McLeod, a prominent fly tier and fly fisher from the state of Washington. His father Ken fished the Stillaguamish River for summer steelhead. Admittedly, he was not a fly tier, so he asked his son to order dyed claret hackle from M. Schwartz and Sons in New York. However, a shipping error occurred. 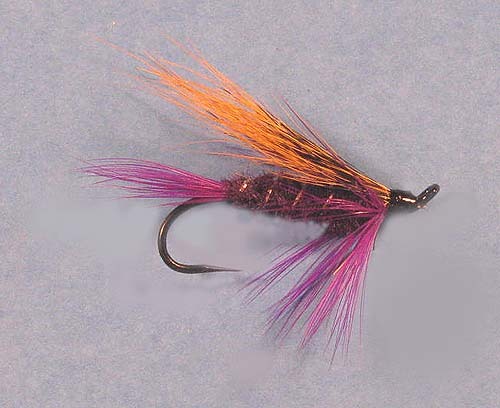 Instead of receiving the claret hackle that Ken wanted, the company sent him purple hackle. 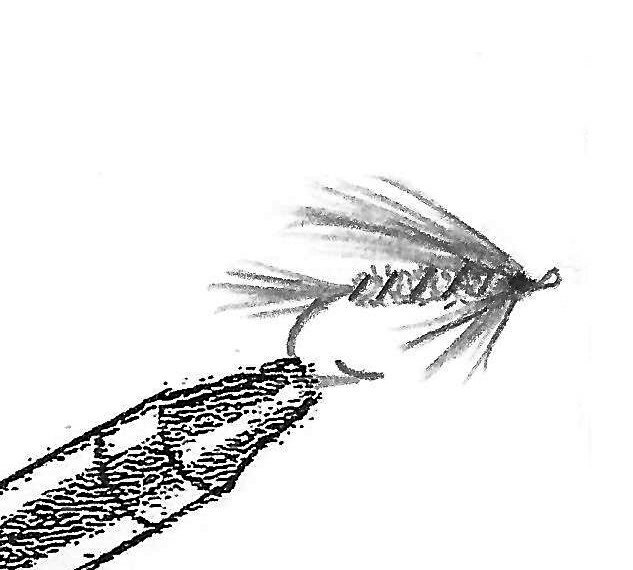 Rather than returning the material, George went ahead and tied a bucktail fly that was predominately purple. It was dubbed the Purple Peril. It is a dark steelhead pattern that It is effective in many different water types especially off-color water. His father also requested that he tie him a bright fly that looked like the color of the sunrise. The result was the famous Skykomish Sunrise. He also tied a contrasting black pattern called McLeod’s Ugly. Step 1.Tie in the tail, chenille and tinsel. Step 2. Wrap the chenille forward to 1/16 inch of the eye. Follow with 5-6 turns of tinsel and tie off. 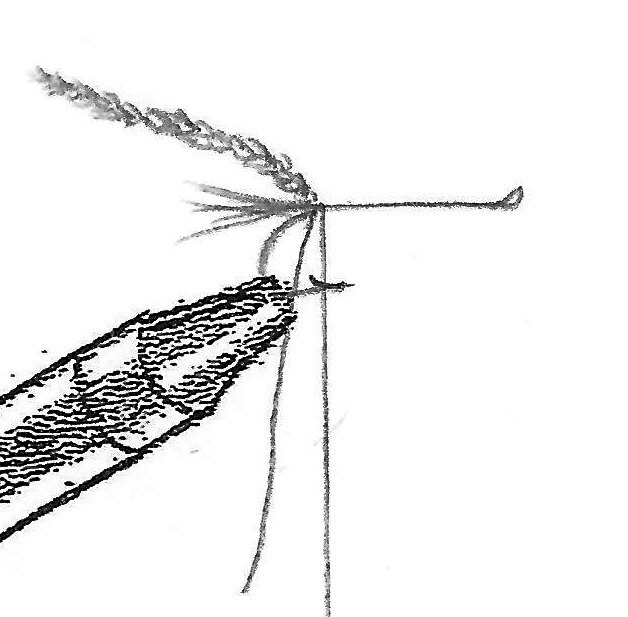 Tie the hackle in. Step 3. 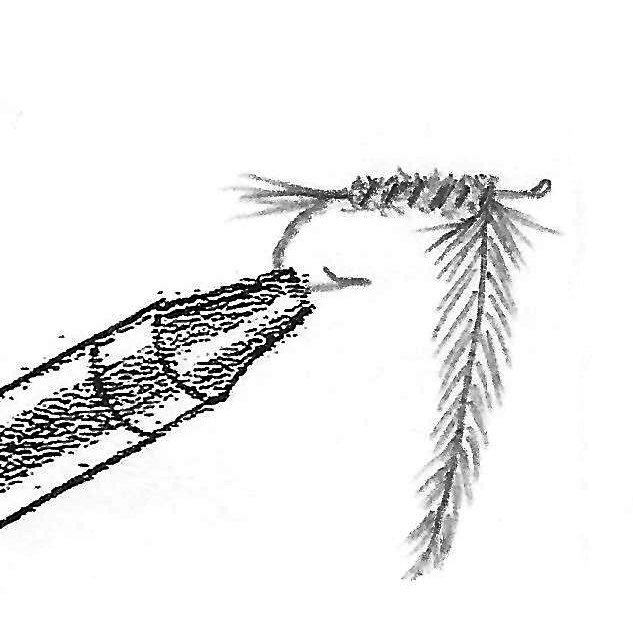 Spin the hackle three to four times to 1/8 inch of the eye. 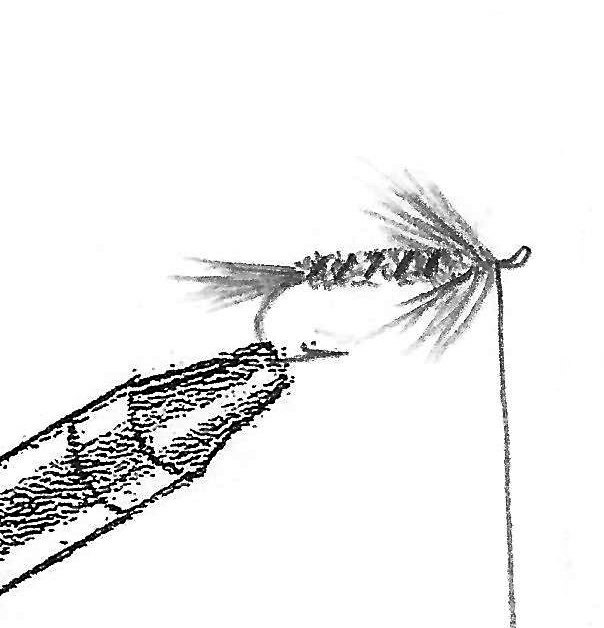 The hackles should be tied back at a 45 degree angle. Step 4. Tie in the wing and cement the head.